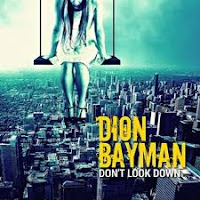 ‘Don’t Look Down’ is the second release from Dion Bayman, following the well reviewed ‘Afterburn’ 2 years ago. Uncomplicated and highly melodic, it’s not what you’d expect to come out of Australia, but Bayman bucks the trend of beer and bar fights by taking the listener on a relaxing yet catchy journey best taken in an open top car with your best girl (or boy) by your side. Blessed with a more powerful sound than the debut, ‘Don’t Look Down’ impresses from the off, with the immediately catchy riff of ‘One More Reason’, and follows it up with a track that will wedge itself firmly in your brain, the jaunty ‘24 Hours A Day’. There’s a definite West Coast feel here, scrunched up with the lighter side of Bon Jovi or Bryan Adams and a sprinkle of the better country rock out there. What impresses throughout is the sheer joy that the listener gets from the well written melodies and wealth of choruses that don’t need more than one listen to get you humming along. Sometimes you just want an upbeat, bouncy AOR record to lift your day, and this is one of those albums. It’s about as deep as a puddle, but doesn’t care. Bayman himself has a really nice voice that suits his musical style 100%. He’s a true one man band as well, playing and producing throughout and turning in a perfectly decent job in the process, careful not to weaken the melodies by pushing any instruments back in the mix. I often find that albums with a West Coast feel tend to wimp out a bit too much when the inevitably slow down, but ‘Don’t Look Down’ keeps the quality high even when the more slushy tracks come along, and they are thankfully outweighed by the more upbeat stuff anyway. Overall, it’s a good balance that doesn’t dent the listening experience. Needless to say, I thoroughly recommend ‘Don’t Look Down’ to anyone who wants a simple dollop of AOR without any superstars or complications, just pure happy music that I guarantee you will keep coming back to whenever you need a lift in life. It's actually his third album. 'Smoke & Mirrors' came out in 2013.